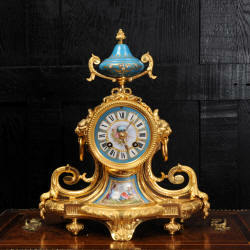 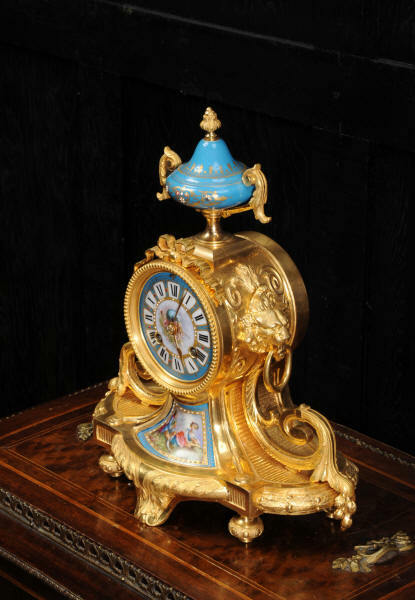 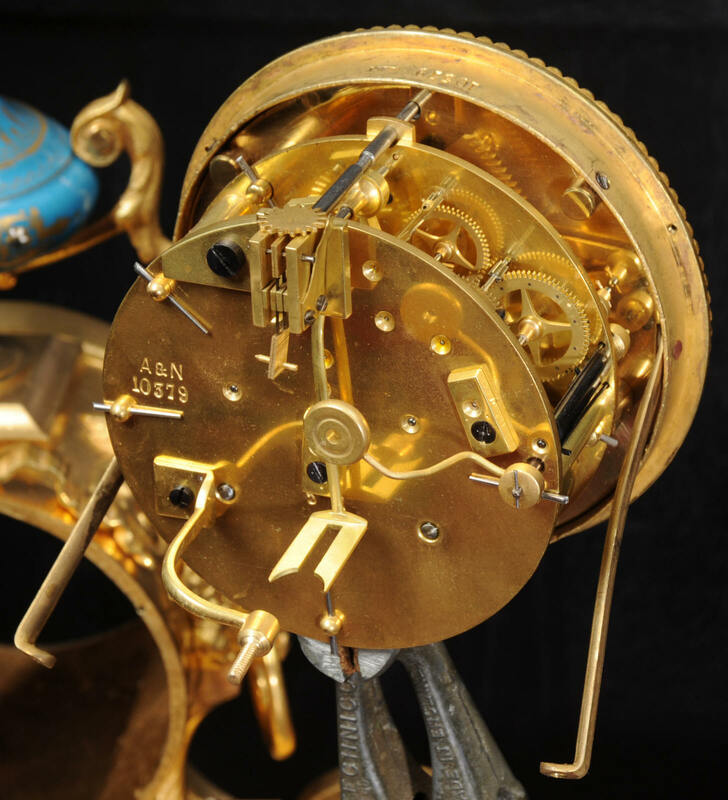 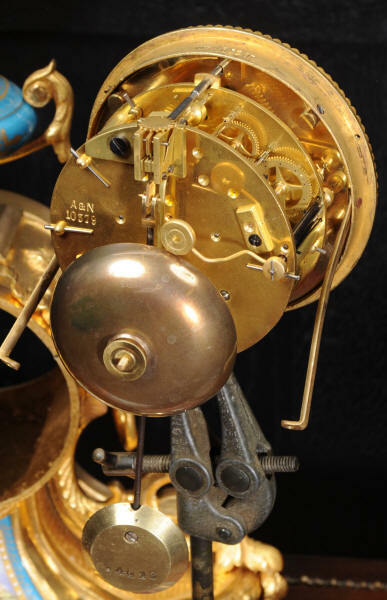 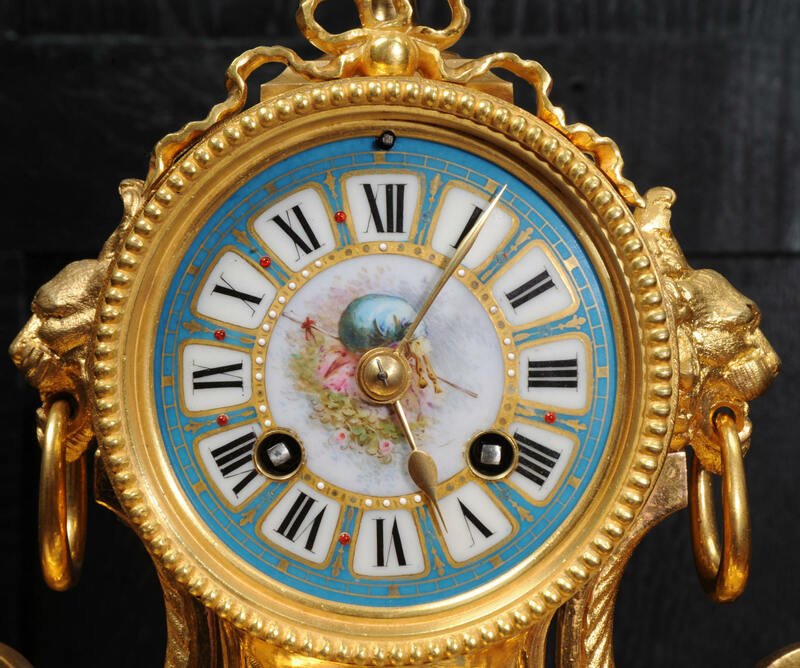 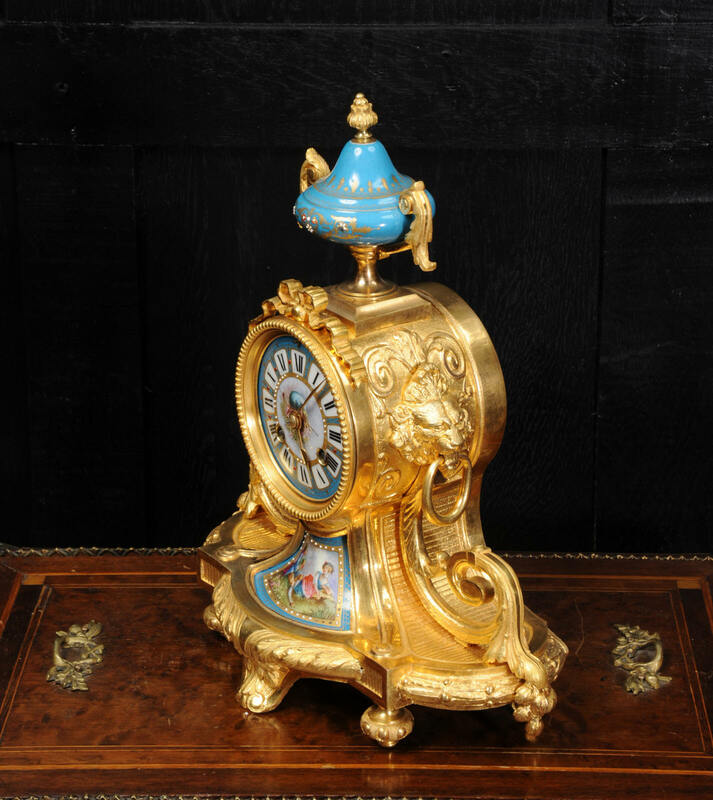 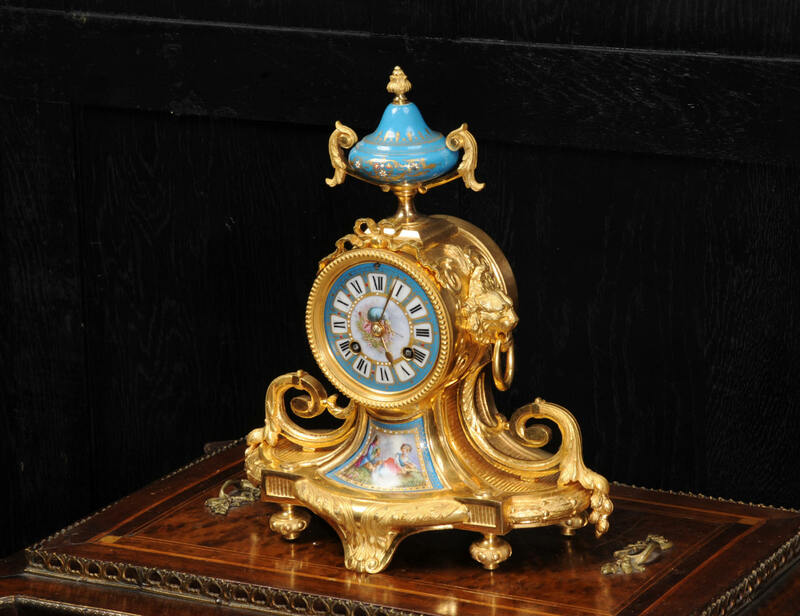 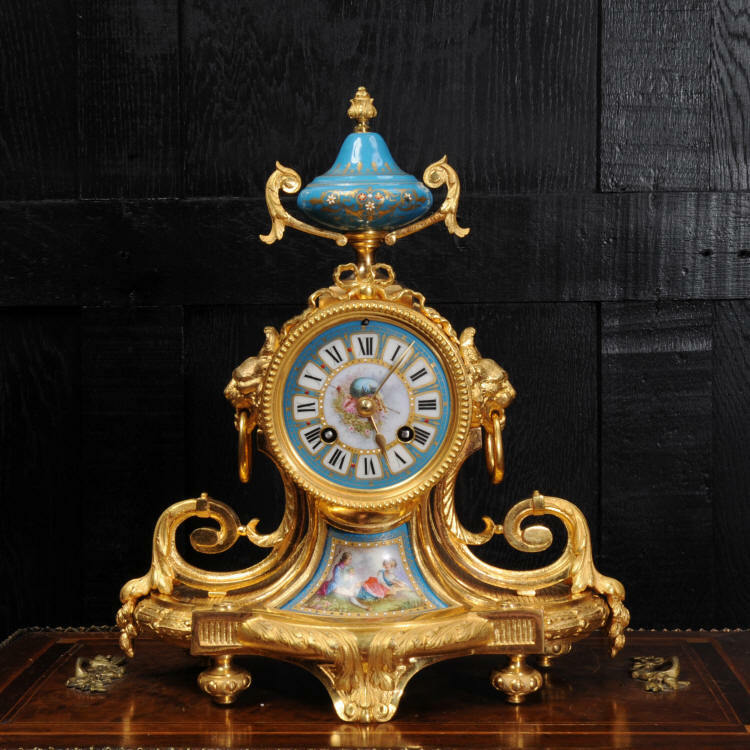 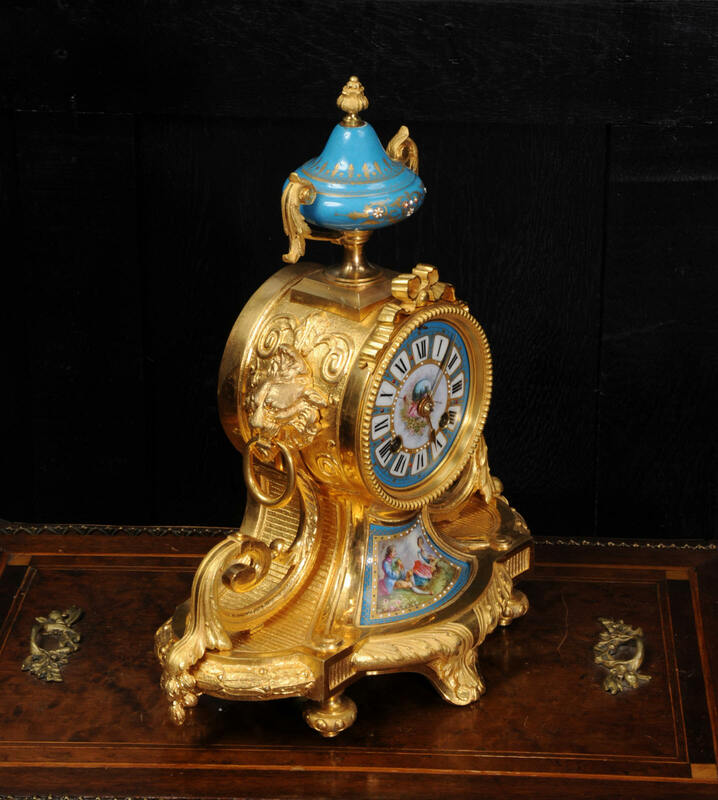 A most exquisite original antique French clock. 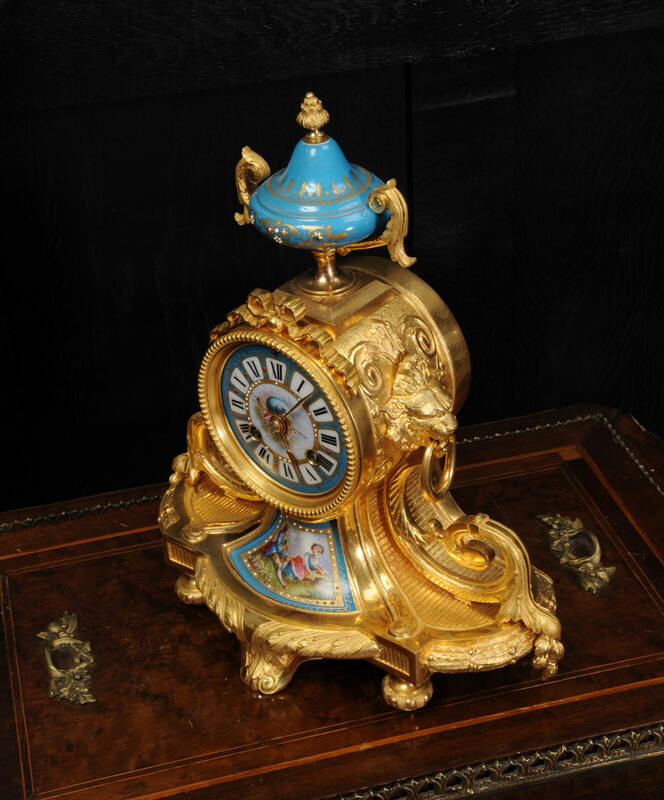 It is finely modelled in ormolu (finely gilded bronze) and mounted with lovely Sevres style porcelain, exquisitely decorated with a Bleu Celeste ground. The panel below the dial is beautifully painted with a scene of a young couple in a country garden. It is classical in design with lions masks and bold acanthus scrolls. 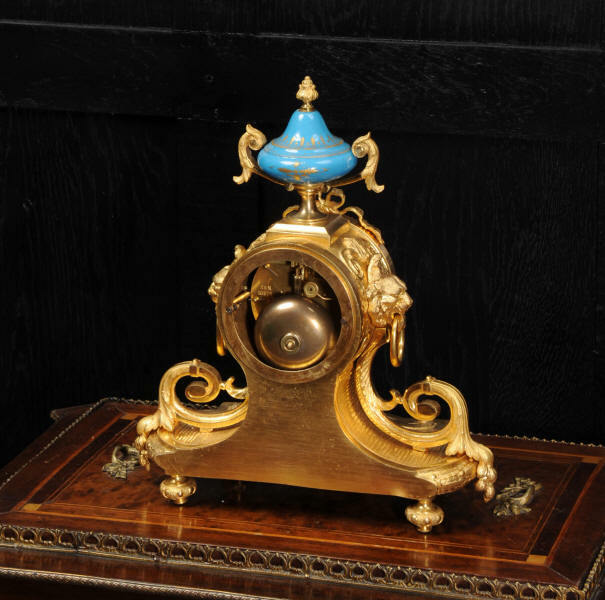 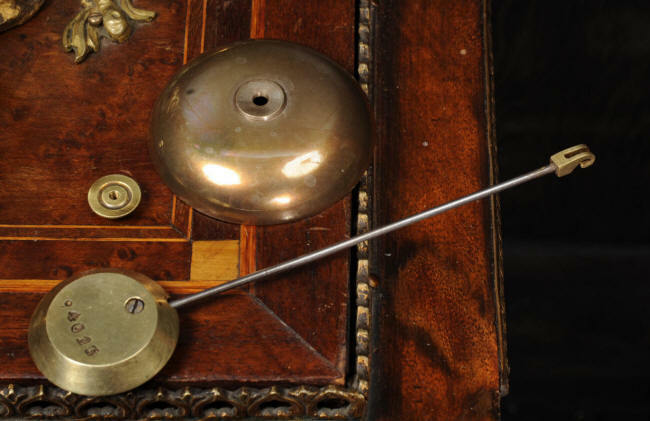 The dial is also porcelain with original finely cut brass hands. 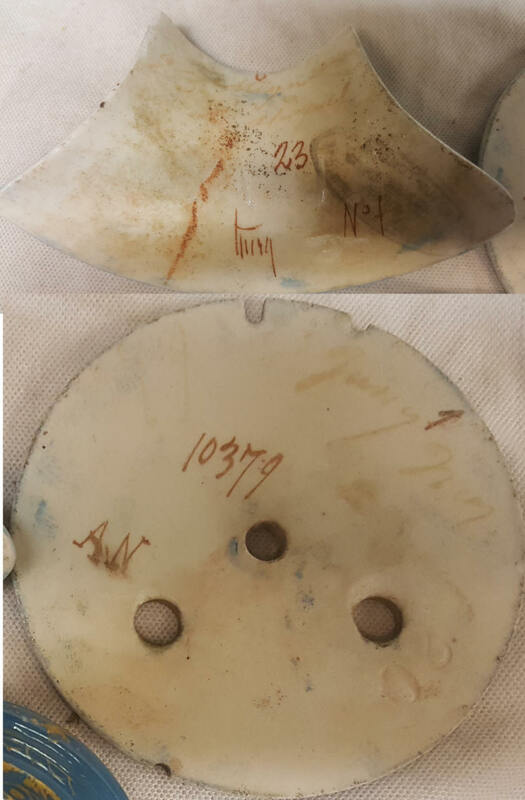 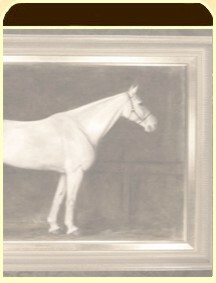 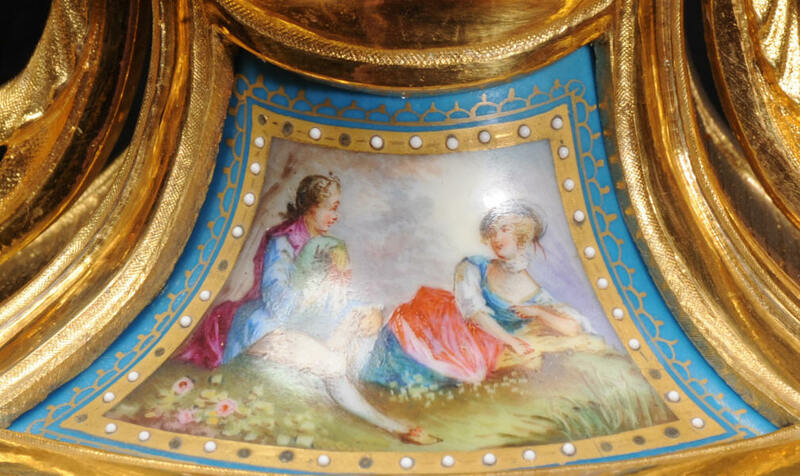 To the rear of the porcelain is the artists signature (see the picture below). Please note that this type of clock does not have front or rear glazed bezels. 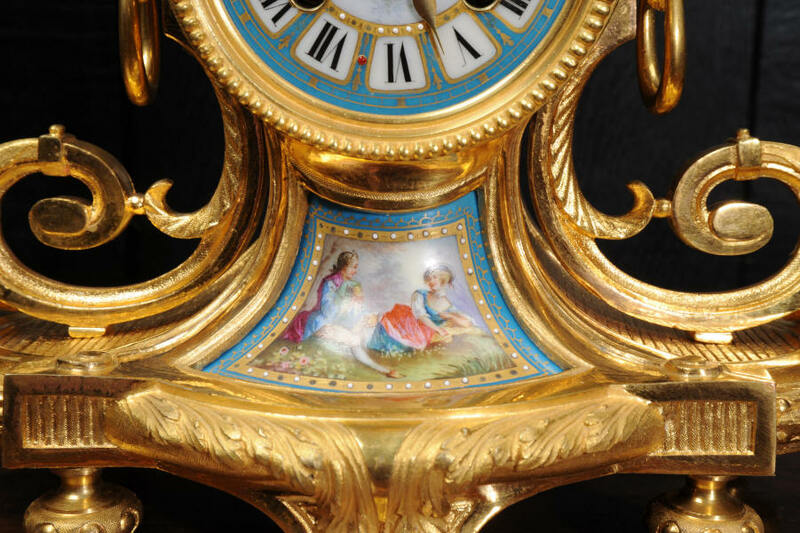 Condition of the case is excellent, the original gilding is beautifully clean and bright with some slight wear. 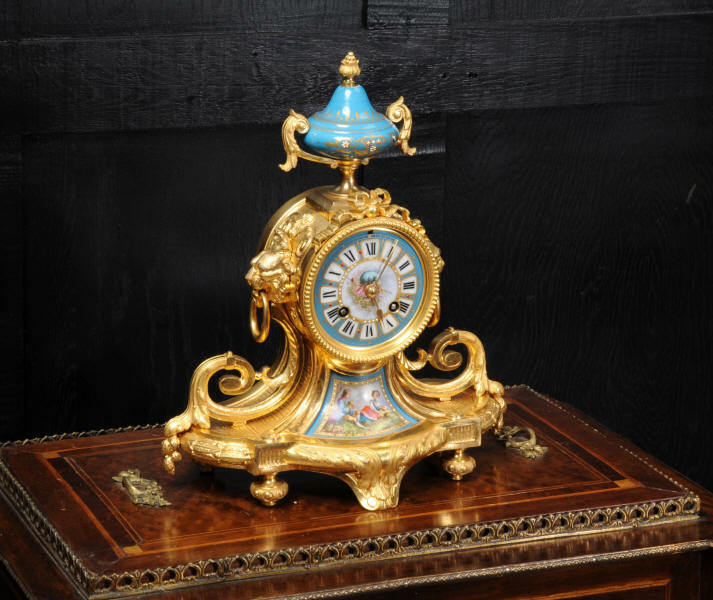 The porcelain is also excellent, slight loss to the overglaze gilt decoration and some losses to some of the applied porcelain 'jewels'. 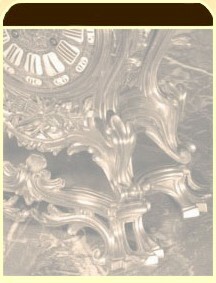 Height 12 1/4", Width 10 1/2", Depth 5 1/4"